Trusted By All Major Insurance Carriers. Lifetime Warranty. These are just a few of the ways we remove the hassle when repairing your vehicle. 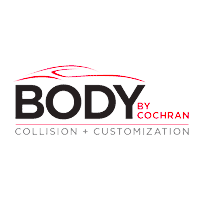 We’ll make arrangements to pick up your car and transport you to the nearest Body by Cochran location. Available online with submitted photos and in person at your convenience. No insurance company estimate is needed because we’re preauthorized with all major carriers. All locations offer on-site rentals to keep your life moving while your vehicle is at a halt.